Here's what All The Animals wanted to know. 1) What was the most challenging thing about fostering? Sometimes we had to keep the foster cats in my room, and it was hard to sleep because I had little kittens crawling all over me. Some of the kittens had to take medicine, too. And it was hard to get them to take it. Also some of the tiny kittens need their bottoms wiped because they don't know how to clean themselves yet. To be honest, the most challenging thing is saying goodbye to kittens that you have grown to love. 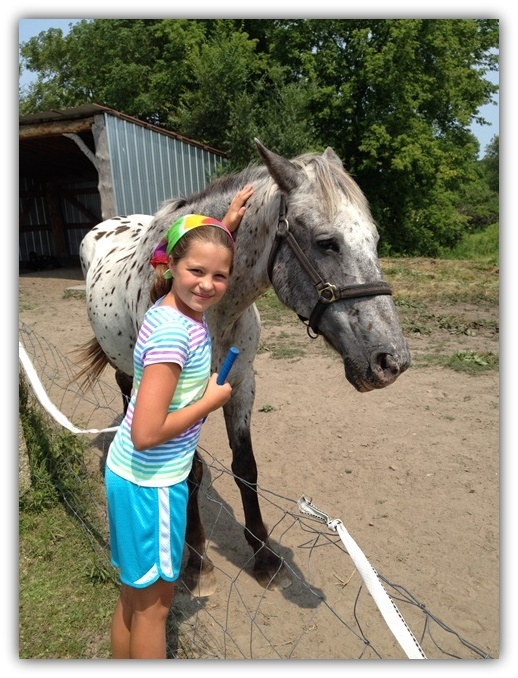 2) What can you tell people who have never fostered? Fostering isn't easy. You have to clean up after the cats, play with them, and feed them. It could be a 1-6 week time commitment, depending on the reason they need to be fostered. 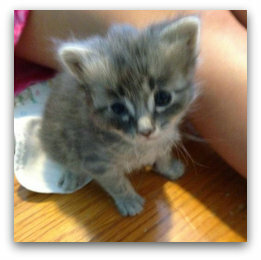 They might need to be fostered because they need to grow, socialize/mature, or they are sick. The kittens need lots of room to play, and adult cats need lots of attention. Be sure to keep the fosters in a nice, clean, room. The cats will need a warm and cozy place to sleep. And if it's kittens and their mom, the mom will need a place to lay so she can nurse the kittens. 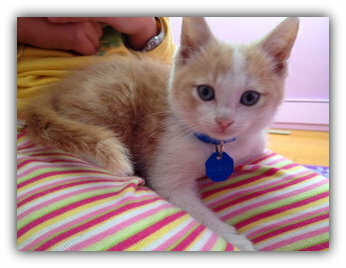 3) Do you try teaching your foster cats and kittens? If so, what do you teach them? And how do you teach them? With the kittens, sometimes we had them with the momma cat, sometimes not. If they are not with the mother cat, you may have to set them in the litter box, so they understand what and where it is. Also, socialization is a big part. 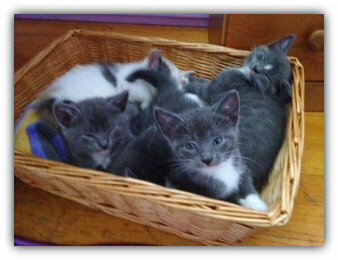 A lot of cats are sent out to be fostered for socialization. They need to get used to being held, how to play, and get used to being in a home, so when someone adopts them, they are ready. 4) Tell me more about the place you get the kittens from? What is their name? Are they a no-kill rescue organization? 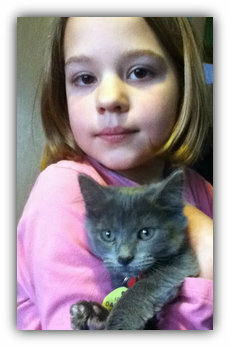 We foster for the Wisconsin Humane Society. This is what they say on their website: "The Wisconsin Humane Society never euthanizes animals for reasons of space or time, and all animals in our adoption program have as long as it takes to find a new home. This is true for all our campuses." 5) Tell me what feelings cats give you? Cats make me really happy. I love cats. When we first started fostering cats, I knew we had to get some of our own. I have always called myself a "cat whisperer". My cats and I are the best of friends and I like every cat I see. Cats are so beautiful and majestic. I couldn't live without cats. One day, in 2012, we had the idea of fostering cats - and having no pets, thought it would be a fun experience, plus it would be a good cause. Our first foster group was a litter of four kitties, not as small as kittens, but also not fully grown. They were brown/white tabbies and all had different personalities. One was really sweet, and we named him Sweetsie. One was shy and had swirly patterns, and we named her Swirl. One had tiger markings, therefore named Tiger. Lastly, there was the kind of naughty one, and we name him Stinker. The shelter changed Tiger's name to Susan though, and they also changed Stinker's name. Buddy (left) and Angel (right). 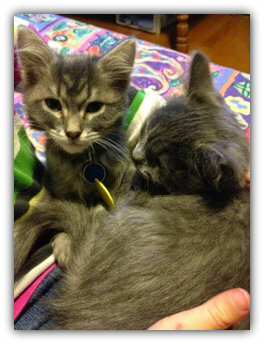 Our next group was two gray/blue kittens, that we named Angel and Buddy S. They were sweet and cuddly and super cute! Little BuddyJay - he was tiny and had an eye condition when we first got him. Our third group was two kittens and their mother. We named them BuddyJay and Buttercup. We fell in love with them and adopted Jay and Cup after fostering them. They are now almost three years old. It is slightly hard to believe, but BuddyJay is a gray long hair, and Buttercup is a tan/buff shorthair, and they are from the same litter. They are really sweet and amazing and adorable! They were only one month old when we got them. After we adopted BuddyJay and Buttercup, we took a little break from fostering, so we could monitor the kitties and slowly let them explore more rooms. Once we had had them for a long while, we started fostering again. Our first cat (first cat not in a group) was named Charlotte. Things were a little bit different with her, and different with all the cats fostered after her. She was fostered in my room, because the "kitten room" was made into a bedroom. 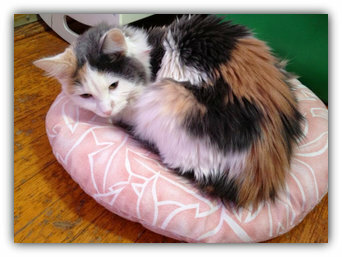 Charlotte was very sweet and loved to purr. She was about 1-years-old. Second foster was kitten named Charlie. He was such a cutie! Although, it's kind of hard to sleep when you have a kitten pouncing on you. Charlie was a pretty calm kitten and loved to snuggle and play. Our next cat was an adult cat name 'Jughead'. 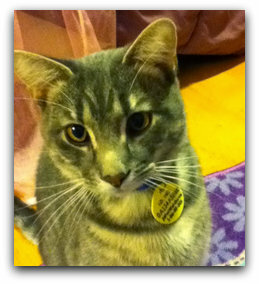 Please know we did not name this cat - he was named by the shelter. I don't know why they named him that, all I know is I didn't like the name. Anyway, Jughead was very cute and snuggly. He did have a very bad cold/cough and so he needed care. Our next kitty was named Nala. She was very sweet and happy and cute. This is actually kind of a funny story. We went to drop off the previous cat - Nala - at the shelter so she could be put up for adoption. So on the way home we were kind of talking about how we wanted some kittens. Well, we get home and a in a little while, the shelter calls. "Hi, can you take a mom and five kittens?" So we picked them up the next day, and they were so adorable! They were tiny and stayed in the crate for at least a day (probably more), because they didn't need to come out. They nursed from the mom and slept in the back of the crate. Only the mom came out to get food and water. Well, eventually, they came out. They were really cute. We fostered them during the summer of 2014, so our fostering was spread out. So those are all the cats we have ever fostered. After the last big group, we decided to take a little break. Hopefully, we will be able to foster more soon! My name is Anna. I'm 12 years old and in sixth grade. I have been homeschooled all my life. I live in Wisconsin with my mom, my dad, my two older brothers, my cats, and my frogs. I live in a great neighborhood in the city, with nice parks and a river nearby. I can walk to a lot of places, like the parks, river, coffee shop, etc. I love animals and always have. Along with loving animals, I also love to do all kinds of art, crafts, DIY projects, and baking. I like to try new crafts and painting techniques. I enjoy taking hikes in nature. I always write in my nature journal and take photos of nature. Another thing I like to do is write and read. I do journaling, blogging, and novel-writing. I'm also interested in improving my writing skills and learning more about research and journalism.